In 2014, the Volkswagen Golf was again the top-selling car model in Switzerland. The Skoda Octavia and VW Polo were also favorite cars for Swiss buyers. Sport and exotic cars continued to sell well. New passenger vehicle registrations in Switzerland contracted in 2014 by 1.9% to 301,942 cars. The list of the top ten most-popular cars in Switzerland was again headed in 2014 by the Volkswagen Golf. In a shrinking market, Volkswagen solidified the lead of the Golf by selling nearly a thousand more Golfs than in 2013. The Skoda Octavia maintained its traditional second place on the list of Switzerland’s favorite car models. Like the Golf, Octavia sales increased by nearly a thousand in 2014. The Volkswagen Polo was again the third most-popular car model in Switzerland in 2014. Despite an aging car and only a very minor facelift early in the year, Polo sales increased by around 200 cars. The Audi A3 improved from 6th to 4th this year by increasing sales by around 800 cars. Almost all other models on the top-10 list saw weaker sales in 2014 compared to a year ago. The VW Tiguan maintained its 5th place from last year giving the Volkswagen Group a clean sweep of the top 5 most-popular car models in Switzerland. The BMW 3 Series slipped two places to sixth. The Seat Leon at 7th was the most improved of all the top-ten best-selling cars in Switzerland in 2014. It shot up around 20 positions from a year ago. The Audi A4 and Peugeot 208 moved down one place each from a year ago. The Mercedes Benz A Class improved from 15th to 10th despite selling 200 fewer cars in 2014 compared to 2013. The two cars slipping out of the top 10 from last year were the BMW 1 Series from 10th to 23 and the Suzuki SX4 from 9th to 40 th. The Swiss car market is traditionally very competitive with a large number of models chasing a small but generally affluent market. Below the top 10 wide swings in rank positions happen quite often. Sports, exotic and luxury cars traditionally sell very well in Switzerland and 2014 was no exception. As before, real automobile exclusivity in Switzerland is easiest found in a VW Jetta – only 10 were registered in Switzerland in 2014 making it around the 370th most popular car model in the country. 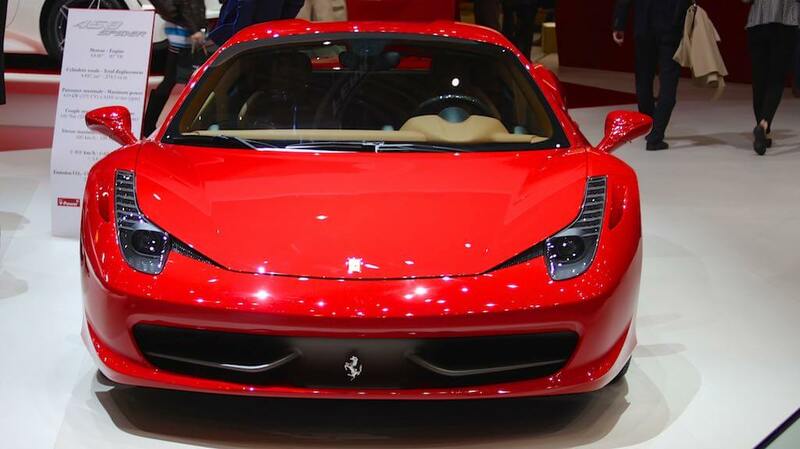 The Ferrari 458 was around 130 places higher on the ranking list. Also worth noting on the list are the figures for electric cars: the Tesla Model S was the 125th most-popular car model in Switzerland in 2014 while the BMW i3 and i8 also achieved surprisingly high numbers. See also 2014 (Full Year) Best-Selling Car Makes in Switzerland for more on the Swiss car market in 2014.